As more hadith books have been translated into English, many people are uncomfortable by some of the content contain within these books. A very recent controversy brought into question the legitimacy of Sahih Bukhari and many problematic hadiths. 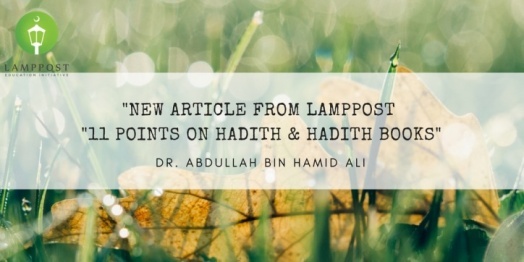 Dr. Abdullah bin Hamid Ali’s provides a closer look at books of hadith and gives us 11 points to consider about them. Click the link below for a pdf copy of this article.